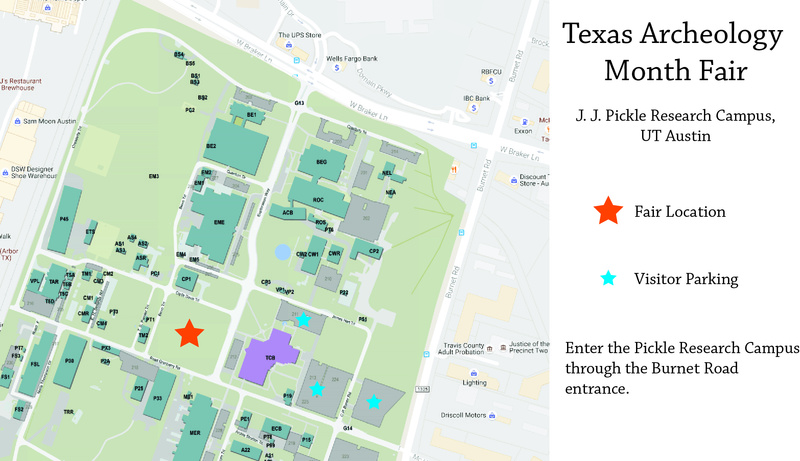 Announcing the Texas Archeology Month Fair! TARL is excited to announce that in partnership with the Texas Historical Commission, we’ll be hosting a public Archeology Fair to celebrate this year’s Texas Archeology Month! This exciting event will take place on Saturday, October 22, 2016 from 10:00 a.m. to 2:00 p.m. here at the J.J. Pickle Research Campus. 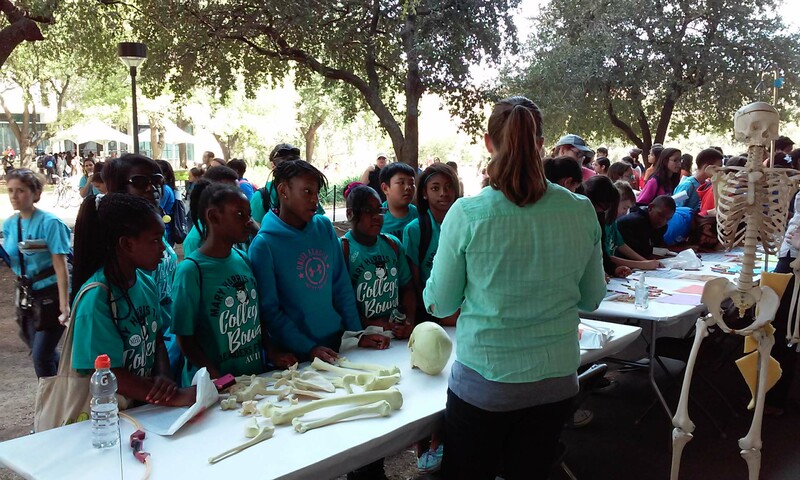 Our Fair will feature hands-on activities for kids and adults, demonstrations from experimental archaeologists, and displays that highlight Texas’ rich archeological history. 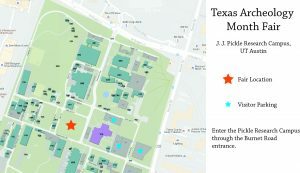 The Texas Archeology Month Fair will be held at the main soccer field on the Pickle Research Campus. See the map below for location & parking details. 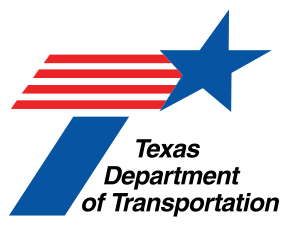 The Pickle Research Campus is located in north Austin near the Domain shopping center, just west of MoPac at the corner of Burnet Road and Braker Lane. We need volunteers to help this day go smoothly! To volunteer as either an activity leader, table presenter, or general volunteer, please email lauren.bussiere@utexas.edu. 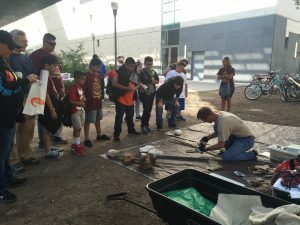 TARL staff and our community of professional archaeologists love teaching the public about archeology. We are all excited for this fun event!